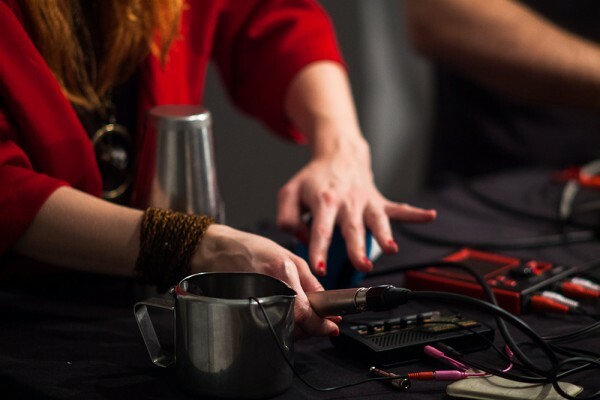 As a sound artist that performs under the name BOASZ (previous BOAS and Choir of 13 Bojanas), Bojana deals with voice-noise relationship, while being interested in the aesthetics of feedback, wider scopes of polyphony and possibilities of (natural and artificial) vocal transformation. She usually experiments with extended voice technics and complex voice embodiments in combination with various analogue and digital equipment. She treats the voice as an input and output. She performs both alone and in collaborative projects with other artists and sometimes she organizes experimental singing workshops.